"All is perfect everytime we stay in the hotel, the staff, am..."
Have a question for Ace Hotel London Shoreditch? "Great location, beautiful room, love everything about this place"
"It is centrally located in Shoreditch, surrounded by a lot of bars, restaurants and cafes." "Would recommend and stay there again." 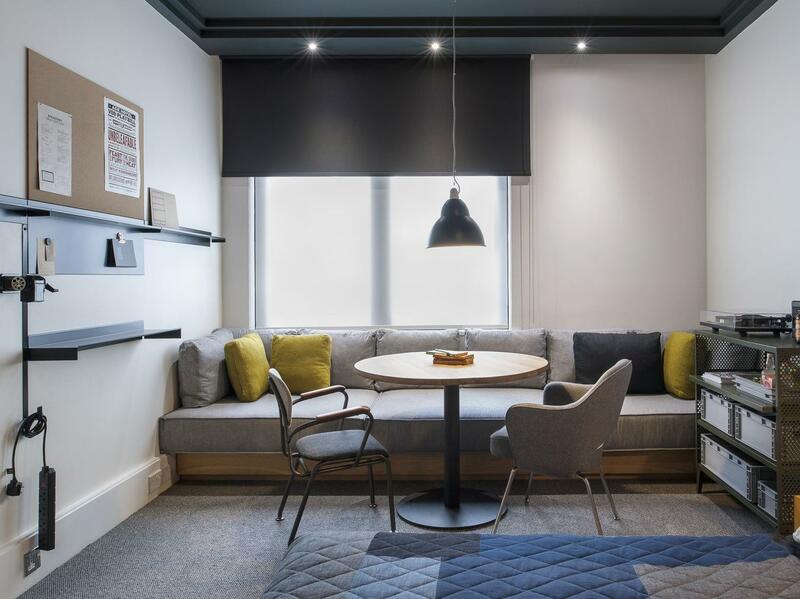 When visiting London, you'll feel right at home at Ace Hotel London Shoreditch, which offers quality accommodation and great service. Situated only 5.7 km from the city center, guests are well located to enjoy the town's attractions and activities. A well-kempt environment and its proximity to Urban Food Fest, Rivington Place, Howard Griffin Gallery give to this hotel a special charm. 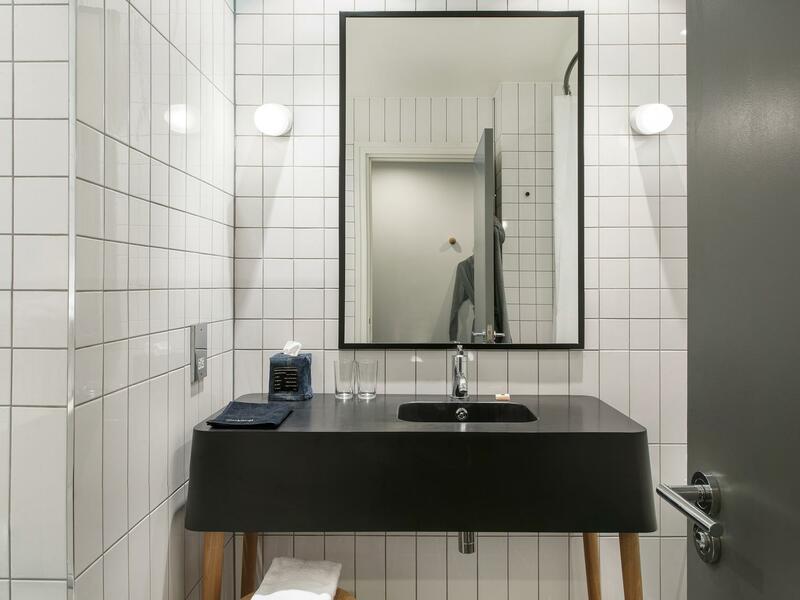 Ace Hotel is renowned for its quality services and friendly staff, and Ace Hotel London Shoreditch lives up to expectations. This hotel offers numerous on-site facilities to satisfy even the most discerning guest. Hotel accommodations have been carefully appointed to the highest degree of comfort and convenience. In some of the rooms, guests can find television LCD/plasma screen, internet access – wireless (complimentary), non smoking rooms, air conditioning, heating. The hotel offers an excellent variety of recreational facilities, including fitness center, sauna. 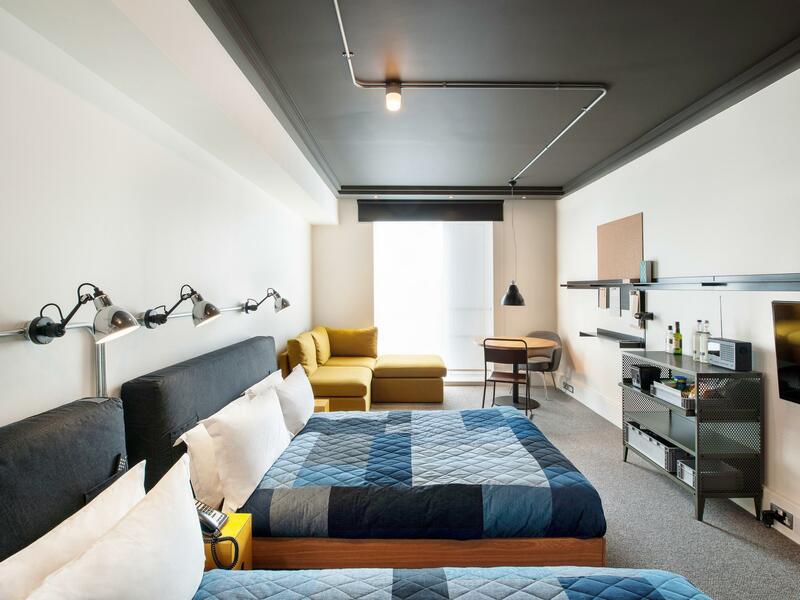 Ace Hotel London Shoreditch is an ideal place of stay for travelers seeking charm, comfort and convenience in London. "Great service at front desk always, always accommodating, al..."
The place is in the middle of bars and bars and more bars. Nights were very loud and crowded. The ambiance all around is catering towards a college going crowd of people out for, did I mention, bars! Certainly not a place for families with young kids. We stayed there for six days. Its employees were very friendly and energetic. The room was nice and clean. There was a slight hiccup in the bathroom. The first floor was full of pep at night, but I had no discomfort about sleeping. I want to stay there again when I go to London again. Good location for a wander around - a lot closer to Spitalfields market and Liverpool street station than expected. Good area to stay in to then wander all over town. Rooms are funky and pretty big for this kind of hotel - good vibe in the coffee bar too. If you want to experience the more local side of London, this is the perfect place to stay in Shoreditch. It is centrally located in Shoreditch, surrounded by a lot of bars, restaurants and cafes. It is not that close to the major tourist attractions but is easily accessible by public transport. The lobby is also usually quite busy because the cafe/bar seems to be a local hangout so if this kind of thing bothers you, you should take note of this. I'm almost always at the Shorditch House but on this occasion I split my stay to test the neighbors; in this case The Ace Hotel (and the Hoxton two nights prior). He acevfusbt disappoint; great friendly and accommodating service from check in to check out, the room was decent size, and all the little details on point. As food as the Shorditch House (and I have to say The Hoxton a little disappointing comparatively). Stay at the Ace. Overall the hotel and the location is great. Further the concept is what we hope all hotel should be: normal-priced room service, normal-proced minibar, great ala carte breakfast (not the normal overpriced buffet), great coffee shop (one of the best in the area), great nightlife, etc etc. I enjoyed my stay at the Ace...The lobby and F&B options are lively with lots to look at. I had a quiet room on the 5th Floor,so it was a nice contrast...I had a large deluxe double and was pleased with the layout and design but I'm not sure my mother would "get the design"..However I don't think the brand was created with my mother in mind....my one suggestion?...Whilst the grey enamel mugs provided in the rooms look super cool....try enjoying a hot tea without scalding your lips....A ceramic mug might be a little underwhelming design wise but hey ..it works! It's an unique hotel but I don't think it worth the 5* Everything in the room is listed with a price. It makes you tend to hesitate before using towels and all worrying if that's going to be charged too. Trendy Place to stay in, good vibe! it is centre of the Shorditch, which is very hip and fashionable place in London. Lots nice shops and trendy reataurant is around of the hotel. I really happy with staying in ACE, and kind service. From the doorman that always was attentive to help us up the stairs with the stroller, to the staff in the reception. This place really have the staff figured out! 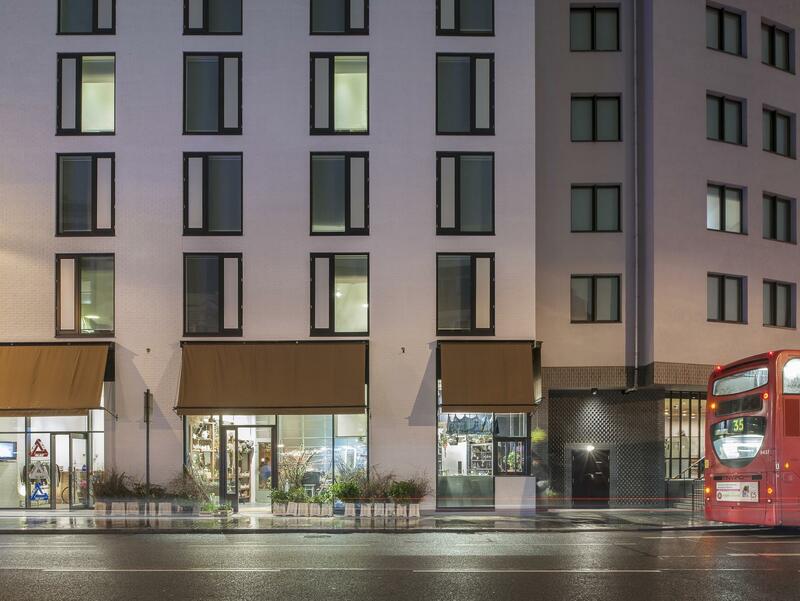 The center of Hipster land, this hotel offer the best of the area. Fully recommended. Both for business and for family trip! 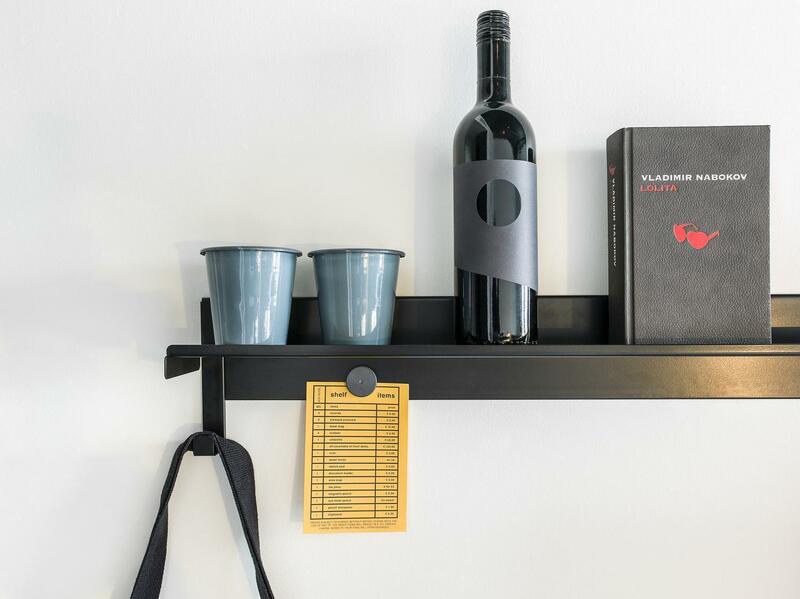 Everyone that works at Ace Hotel Shoreditch goes above and beyond to ensure that their guests are well taken care. From pre arrival conversations, to making sure we had an early check in to our room after a long transatlantic flight to booking restaurant and allowing late check out. Particularly the staff at your front desk. Special mention and thanks to Leah and Danny. We look forward to our next staff. We lived for many years in London until moving to San Francisco. Ace Hotel is our newly adopted home from home in London. See you next year and thanks again. Love the room design. So young and well thought. Denim bedcovers, vinyl player in the room, the hoodie bathrobe, etc. And the coffee shop serves good coffee and snacks for breakfast. The location is great as we could walk around and see interesting shops, and walk from Shoreditch to Spitalfield market. Would definitely come back. The hotel was a great location. Room was a good size, big windows. It was a younger crowd, maybe not so great for families (but we coped). The lounge areas were full of people with laptops and one cup of coffee, a little annoying if you wanted to grab a table to eat. We ended up eating in one of the many places close by. Would recommend and stay there again. The ground floor is chaos. I hated coming into a hotel that felt like a club or overcrowded cafe considering the price of the room. I feel the ace has competing desires to be a night club and community cafe vs being a modern hotel. The Ace Hotel was perfect for our last location in London. I was lugging a large piece of luggage and It was not a bad walk from the underground tube. If you're looking for a quiet area to stay, the Ace Hotel location is not for you, but if you're looking for great nightlife and restaurants and cafes just a few steps away this is the place! I enjoyed it here and would definitely come back!